A custom company logo can speak volumes to your customer as to who you are and how you would like to be viewed as a business. It can create or strengthen your identity and put you at the forefront of your industry. 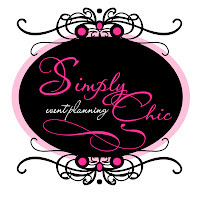 Below is a logo that I created several months back for Nicole and her event planning business. She wanted a fun and trendy design, yet still wanted to also project an elegant, professional and sophistated look for her company and the image that she projects to her clientele and I believe that what I designed for her is just that. I created two similar, slightly edgy designs for her to choose from for her signature company logo. 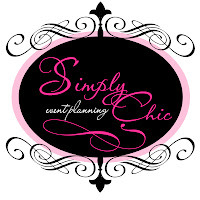 She was thrilled with the end results and cannot wait to start using the logo in all of her company marketing materials. Here are the final designs.